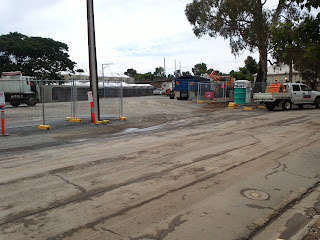 I took the time today to view the works near the corner of Victoria St and Devon St. The photos tell part of he story but it is difficult to gain an impression of the enormity of the scale that is reality. 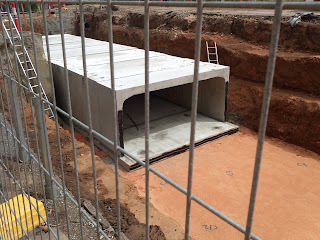 From the pictures the culvert looks quite small when it is actually nearly 6m wide and 2m high. The bonus is that tree protection zones have now been installed around the majority of the trees that DPTI intend to keep.